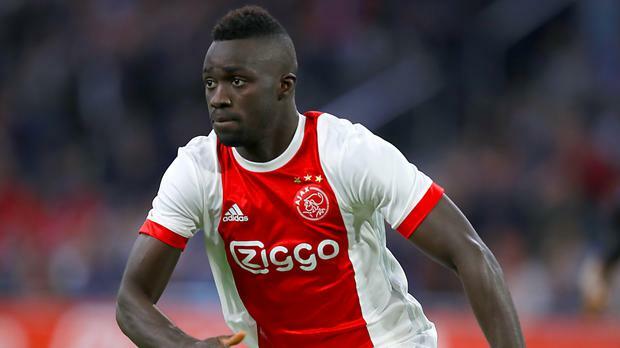 Davinson Sanchez has become Tottenham's first summer signing after joining from Dutch club Ajax. Here, Press Association Sport picks out five things you may not know about the 21-year-old defender. Sanchez's arrival into the world came during the group stages of Euro 96. He was born in the small town of Caloto in western Colombia on June 12 1996, three days before Paul Gascoigne's memorable goal helped England beat Scotland 2-0 at Wembley. The anthem of that summer - Three Lions by Baddiel, Skinner and The Lightning Seeds - had just been knocked off the top of the UK singles chart by Fugees' Killing Me Softly. Despite his relatively tender age, Sanchez has already lifted a fair few trophies. He twice won the opening and closing stages of the Colombian league with first club Atletico Nacional, as well as securing two domestic cups. Before leaving Medellin for Ajax last summer, he signed off in style by helping Atletico clinch South America's premier club competition, the Copa Libertadores, for the first time since 1989. On a personal level, he also took home Ajax's player of the year award last season. Lionel Messi helped make Sanchez's first senior international match one to forget. The Barcelona forward ensured the young defender endured a torrid debut, scoring the opening goal from a free-kick as Argentina went on to record a comfortable 3-0 World Cup qualifying win over Colombia in San Juan last November. Sanchez played the full 90 minutes of that game and has only featured once - a 2-2 draw with Spain in June - since. Tottenham have made a habit of plucking players from Holland's Eredivisie. Sanchez becomes the fourth former Ajax man in the Spurs ranks, alongside Belgian defenders Toby Alderweireld and Jan Vertonghen and Danish play-maker Christian Eriksen. Mauricio Pochettino's squad also contains a number of other talents who made their names in Dutch football, including goalkeeper Michel Vorm, midfielder Mousa Dembele and striker Vincent Janssen. Sanchez reportedly rejected interest from Barcelona to join Ajax last summer, and was again linked with the Spanish giants this summer. Though that decision may seem surprising to some, it appears plenty of first-team football and developing as a player were at the forefront of Sanchez's mind. He is reported to have said: "People in South America know Ajax as a nice gateway to a good career in Europe."